Something really drastic must have happened to end the Classic Maya Period in the 9th Century. Within a short period of time, this advanced civilisation in Central America went from flourishing to collapsing – the population dwindling rapidly and monumental stone structures, like the ones built at Yucatán, were no longer being constructed. The reason for this demise remains the subject of debate even today. 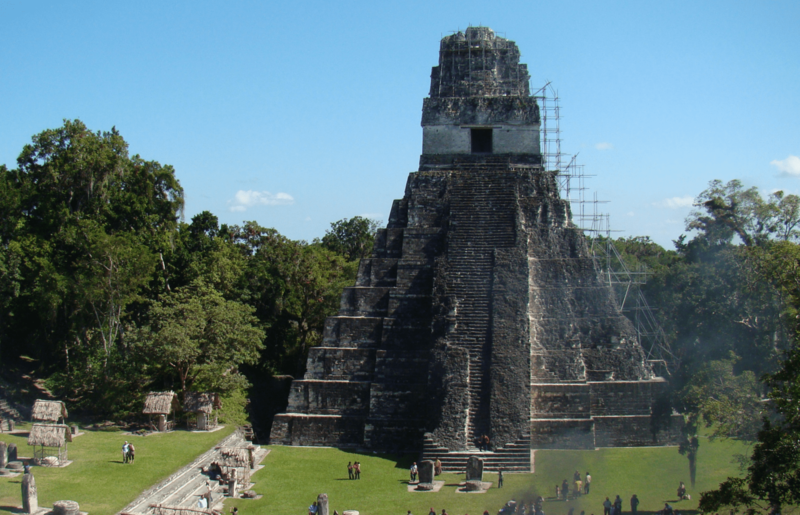 Model calculations by TU Wien may have found the explanation: the irrigation technology that served the Mayans well during periods of drought may have actually made their society more vulnerable to major catastrophes. The lessons learnt may also help us to draw important conclusions for our own future. We need to be careful with our natural resources – if technical measures simply deal with the shortage of resources on a superficial level and we do not adjust our own behaviour, society is left vulnerable. Since water and society have such a direct influence on each other, it will not suffice to describe them by separate models. This is why researchers at TU Wien explore the interactions between sociology and hydrology and represent them by coupled mathematical models. The emerging field of socio-hydrology establishes mathematical interrelationships, e.g., between food availability and birth rate, or between recent water shortages that are still fresh in our memories and society’s plans for building water reservoirs. These kinds of interrelationships, combined with a large amount of historical and current data, ultimately yield a complex system that produces different scenarios of human–nature interactions. As it turns out, water reservoirs can actually provide substantial relief during short periods of drought. In the simulations without reservoirs the Mayan population declines after a drought, whereas it continues to grow if reservoirs provide extra water. However, the reservoirs may also make the population more vulnerable during prolonged dry spells. The water management behaviour may remain the same, and the water demand per person does not decrease, but the population continues to grow. This may then prove fatal if another drought occurs resulting in a decline in population that is more dramatic than without reservoirs. We will probably never know all the reasons for the decline of the Mayans. After all, wars or epidemics may have played their part too. The socio-hydrological model developed by the Günter Blöschl-led team of researchers at TU Wien does, however, tell us that droughts and water issues are one possible explanation for their demise and shows us just how vulnerable an engineered society can be.